Here is the third segment of this article, and other parts will be coming soon! Please understand, that it's not my intention to stir up strife or debate on this hotly debated issue, but to provide a perspective I share enthusiastically with others, and maintain that this indeed is The Blessed Hope of our Salvation (TITUS 2:13)! 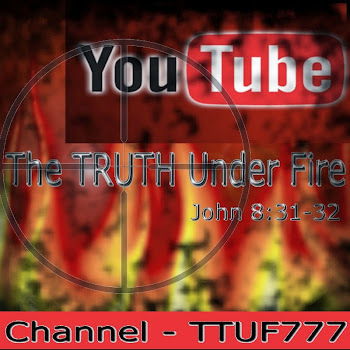 Below is another link to youtube that manifests the very heart of this hope: to be delivered from this world of sin, from our very bodies that are wracked with the sin-nature, and delivered INTO the everlasting arms of our precious LORD and SAVIOR, JESUS CHRIST, the MESSIAH of ISRAEL! (the song is sung by Jeremy Camp; I can't ever watch this feed w/o tearing up, longing for my Lord's Return! )As stated previously, there are some I've spoken with that believe that the church WON'T be raptured out of this world UNTIL the temple is rebuilt, and that we may in fact witness the rise of the Beast, and as a proof text, they use MATT 24, and I would like to address this, and many other issues, in this third installment of "RAPTURE: The WHO and WHEN Of It All"
And Jesus went out, and departed from the temple: and his disciples came to him for to shew him the buildings of the temple. 2 And Jesus said unto them, See ye not all these things? verily I say unto you, There shall not be left here one stone upon another, that shall not be thrown down. 3 And as he sat upon the mount of Olives, the disciples came unto him privately, saying, Tell us, when shall these things be? and what shall be the sign of thy coming, and of the end of the world? Our Lord was just leaving the Temple with His disciples, and as they were marveling at the wonder of that building, the Lord Jesus said "There shall not be left here one stone upon another, that shall not be thrown down." 1) When shall these things be? 2) What shall be the sign of Your Coming? 3) What shall be the end of the world? The first question seems to be directly related to what Jesus said in regards to the Temple being destroyed. The disciples would be keenly aware of their own history and the previous destruction of the Temple during the time when Nebuchadnezzar came with the military might of Babylon's army and wiped out the entire city, along with the Temple during the third (and final) campaign against Israel. It was during this last campaign that the people of Israel were either wiped out, or taken as captives, as a nation, back to Babylon. The disciples recognized that such a destruction would certainly constitute a major paradigm in the affairs of the nation, and wondered if this would involve the end of the world, and if so, then the Coming of the LORD to inaugurate His rightful reign as Messiah-King. Yet the LORD was not referring to the time of the Babylonian captivity when the Temple (along with the entire city of Jerusalem) was wiped out; He is distinctly referring to the "abomination that makes desolate" a term that every Jew recognized as the time when the Greco-Syrian ruler, Antiochus Epiphanes, in an effort to offend the Jews, subjugate and humiliate them, descrecrated the Temple of that day by slaughtering a pig on the altar and erecting an idol to the (false) god, Zeus! That was history. The LORD Jesus warns of an "abomination that makes desolate" yet future! Those who claim this abomination was fulfilled at 70 A.D. when the Romans destroyed (NOT abominated) the Temple are ignoring the facts: this is a prophecy that has not YET BEEN FULFILLED! Yet it points to the fact that in these last days, there will be another Temple erected which the Beast will desecrate! The Lord then begins to elaborate on the events as they would transpire in the future. Note that there is no answer provided here in Matthew's account regarding the destruction of the Temple (He does address this issue however in LUKE 21 and I will deal with this later on). The first thing the LORD says is "take heed that no man deceive you" and this is repeated again later. 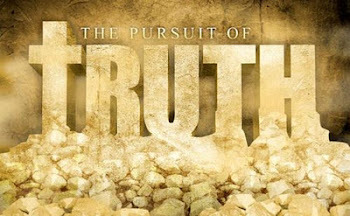 Its paramount that we hold tenaciously to God's Word, the ONLY Source of spiritual Truth on this planet! By God's Word, we obtain wisdom, insight, discernment, by which we, if we are born of God's Spirit, avoid any deception and deceit. The LORD speaks of false Christs here who will deceive many, wars, and rumors of wars, then admonishes us to "not be troubled, for the end is not yet." "Nation shall rise against nation, and kingdom against kingdom . . . " I used to think that this was a "Hebraeism" that is, a poetic form that stated the same thing, two different ways. This is a technique often used in scripture, especially in the Psalms and Proverbs. Yet if you consider closely what this is saying, it reveals something significant. A nation could exist independently of a kingdom, like the Kurds of today, for they are a distinct ethnicity with a culture and language of their own, yet they don't possess their own homeland (though they are making an attempt to do so); so too was Israel prior to 1948. A "nation" is a people of "common birth in relation to their distinct ethnicity" whereas a "kingdom" (or the 'king's domain') is a political entity. Thus "nation against nation" would have to do with racial tensions, riots, etc. whereas "kingdom against kingdom" would entail political and military contentions. Famines, pestilences, earthquakes in diverse places would all occur. Skeptics of the Bible point out that we have always had these things happening, and only 'doom and gloomers' would use such justification in proclaiming "THE END IS NEAR!" However, it's MATT 24:8 that is crucial to understanding these events: "All these are the beginning of sorrows," or birth pangs which we all know are events that transpire at the birth of a new born, beginning gradually, then increasing in frequency and intensity, and this is the key to understanding these signs. They would increase in frequency, and intensity, then resolve, only to begin again with greater and greater magnitude. We see this happening evidently in today's world. Take note that our Lord, when speaking, says "you": "take heed that no man deceive YOU" . . . ""YOU shall hear of wars and rumors of wars" . . .
"Then shall they deliver YOU up to be afflicted and shall kill YOU: and YOU shall be hated of all nations for My Name's sake." When taken in context, one would infer that in vs. 15, the LORD said "When YOU therefore shall see the abomination of desolation . . . " that He is addressing the same people (and He is!). The question remains then, who is He speaking to? The answer is obvious; He is speaking to the disciples (He says "you" seven more times after this). If one infers that the time period that the LORD is addressing is about Christians (for these disciples were followers of Christ, thus Christians) enduring this time, and witnessing these things, and in particular, the Temple and events surrounding it, and the revealing of the Beast, one could conclude that we must wait for the rapture of the church until AFTER these things. Obviously the disciples were 'types' of future believers, for when the LORD says "you" it's evident that He can't be referring to them personally seeing these wars, famines, pestilences, earthquakes, etc. and the temple issues which would transpire long after these were gone; but those who would follow after these disciples, i.e., believers in latter generations. Now, it's vitally important to understand the persons that our LORD is addressing here. Proper exegesis (what does the text say) is essential in order for proper exposition (what does the text mean) to take place. Were these disciples Christians? What does it mean to be a Christian? Its a person who recognizes that Jesus is the Christ/Messiah, the sacrificial Lamb of God, slain for the sins of the world, and as a result, receives the atonement for their sins and the Spirit of God, thus resulting in being born again. However these disciples were not yet born again, for Christ had not yet died, nor was He risen again, nor had the Holy Spirit been given (see JOHN 7:37-39). Christ indeed imparted the Holy Spirit to His disciples post-resurrection (see JOHN 20:22). Yet if they weren't Christians at this time, what were they? They were those who "seeing, could see", and "hearing, could hear", and understand the Truth as presented by the Messiah, as opposed to those other Jews, who had rejected their Messiah. These disciples at this point in time, were 'Messianic Jews' as it were, and had like faith as Abraham, Isaac, and Jacob which meant that they were saved, just as the forefathers were, who looked ahead to the time when Messiah would come, but not yet born again. Why is this important? Because these disciples represent the believing Jews, saved Jews, Jews who will embrace Y'shua Ha Meschiach with all their hearts, who will in fact, see "all these things" that our Lord spoke about in this chapter. It may well be that these 12 apostles represent in their present state, the 144,000 Jews who will go forth during the time of Jacob's trouble (12,000 from each tribe; REV 7:2-8) proclaiming the gospel of the kingdom of heaven, the very message that the Jews in Jesus day, rejected. Once again, when the fulness of the Gentiles (ROM 11:25) is come in and God has taken for Himself a people (Gentiles predominantly) for His Name, He shall then turn and build again the Tabernacle of David (ACTS 15:16), and Israel will again be dealt with by the LORD. Jews who come to faith in Y'shua Ha Meschiach (Jesus Christ) during the time of Jacob's Trouble (JER 30:7), a.k.a. Daniels 70th week (DAN 9:24), will certainly be saved, but not born again, as this is a spiritual distinction exclusively for the church, which is neither Jew nor Gentile, but "one new man" (EPH 2:15). Thus MATT 24:9 takes on a different look: "YOU shall be hated of all nations for My Name's sake" refers to Jewish believers who are positionally speaking, identical to these disciples standing, as they were, before the LORD Jesus in this very chapter. They will believe in Y'shua as Ha Meschiach, and thus be saved, but not indwelt by God's Spirit, as are those who are born again in the church. In Israel's history, during times in which the Hebrew people fell away from the LORD, and He had to chasten, rebuke and correct His people, there seems to always be a faithful remnant. Even in the days of Elijah, when he was alone in that cave, and bemoaning the 'fact' that he alone served and loved the LORD; God had to inform him of the real facts! There were yet 7,000 that had not yet bowed the knee to Baal (1 KINGS 19:18)! Throughout the Bible, there is mention of the remnant that held on to the Word of God, that believed the promises YHWH made to His people, and looked forward to their Messiah (2 KINGS 19:4,30-31; 2 CHRON 30:6; 34:9; EZRA 3:8; 9:8; NEH 1:3; ISAIAH 1:9;10:20-22;37:4, 31-32; 46:3; JER 6:9; 23:3; 31:7; 42:2,15,19 and a host of other O.T. scriptures); note that not all verses that mention a "remnant" are a godly remnant, but there is always in every generation of Israel, those who God preserves, who remain faithful to Him. In the days of Jesus, His remnant amounted to His twelve, and women who were dearly devoted to their precious Lord; eventually all others had left (see JOHN 6:66-67; interesting verse number in which this was written), and even His apostles fled when the Temple soldiers came and arrested Jesus. In the last days, as stated previously in this article, two out of every three Jews will be wiped out in that terrible time ahead (ZECH 13:9) this is one major reason why we are to pray fervently for the conversion of the Jewish people, that they may partake of Christ and be included in the body of Christ, thus escape this horrible calamity). Here we must end the present segment of this article, but when we continue next time we will examine further this biblical concept of "remnants" and of the one to come during the time of Jacob's Trouble. As well as this, we will look at the LORD Jesus' admonition to those who witness the 'Abomination that makes desolate' and what will transpire when He finally arrives. Also we will make a comparison between two seemingly identical passages in MATT 24 and LUKE 21. Also we will learn the difference between two biblical terms: "the fulness of the Gentiles (ROM 11:25)" and "the times of the Gentiles" (LUKE 21:24). And finally we will ask the question (and hopefully answer it) "Who is it that 'hinders' the coming wickedness as describes in 2 THESS 2:7-8"? Until then, may you keep your oil lamps trimmed and burnin' for JESUS! The LORD Bless you WAY TOO MUCH!